I have read some other posts on this website and the answers seem to be very thoughtful and informative, so thank you in advance for any help with this issue. I am trying to make sense of a set of Medicare claims information. That is, I have a stack of Medicare claims from both physicians (CMS-1500 forms) and hospitals (UB-40 forms). I am trying to understand the claims submission process. When a physician performs a surgical procedure in a hospital on an inpatient, are both forms submitted, the UB-40 form submitted by the hospital recording the procedure with an ICD-9 code, and the 1500 form submitted by the physician recording the procedure with a HCPCS code? I do not have a good sense of how the facility bills in this scenario and how the operating physician bills. Yes - both forms are submitted when a provider performs procedures in a hospital. 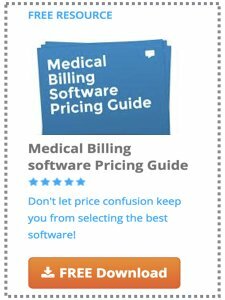 The provider’s office or billing service will typically submit the claim for their services while the hospital’s billing office (or service) will submit their UB-04 (CMS-1450). As you probably know hospital coding is quite different than coding for a provider. Although the ICD-9 (diagnosis) codes are the same, you may use a number of different procedure codes depending on the type of facility setting - such as for a hospital. The UB-04 is more complicated because of the many different services provided by the hospital. In addition to the facilities, they also provide supplies, medication, transportation, meals, nursing, etc. Patients also frequently have many different diagnosis codes when in a hospital associated with illness, injury, and the associated surgical procedures. Because of this a hospital bills for many more HCPCS codes than a provider does.